I was on RJ Eskow’s The Zero Hour show to talk about Necessary Trouble. I talked Necessary Trouble with Nicole Sandler of the Nicole Sandler show as part of the preview run-up to the Miami Book Fair–I’ll be there next month. Our guest, the protest journalist Sarah Jaffe, calls attention to the people who are really still feeling the squeeze—of anti-Keynesian austerity and casino capitalism, for example—in her new book, Necessary Trouble. 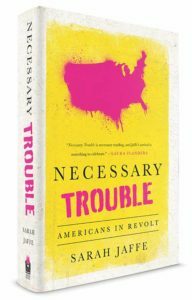 Truthout calls Sarah Jaffe’s new book, Necessary Trouble: Americans In Revolt, “one of the most essential books of the year.” John Shuck, host of the new KBOO program, Beloved Community, talks with Jaffe about her description of a new activism that has arisen since the crash of 2008. Journalist Sarah Jaffe, author of Necessary Trouble: Americans in Revolt, explains why Americans are protesting and resting power. Movements Right and Left.The radical left rebirth after the financial crisis. The opening up of anti Capitalist space. New disruptive protest tactics. Americans in Revolt: Our guest chronicles the birth of new social movements that could have the potential to influence the course of history, from the Black Lives Matter movement to the Tea Party. Sarah Jaffe, a reporting fellow at The Nation Institute and the co-host of Dissent magazine’s Belabored podcast, discussed her recent article, “Trickle-Down Election Economics: How Big Money Can Affect Small Races” with Capitol Pressroom on WCNY Radio. 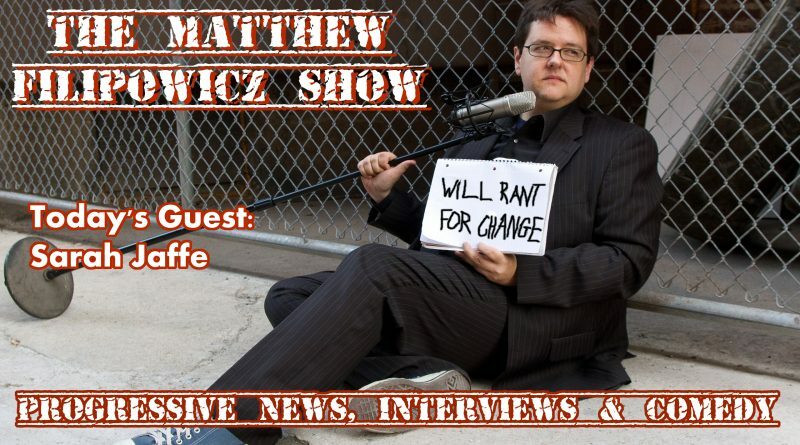 I was a guest on the Matthew Filipowicz show, talking about years of Necessary Trouble.